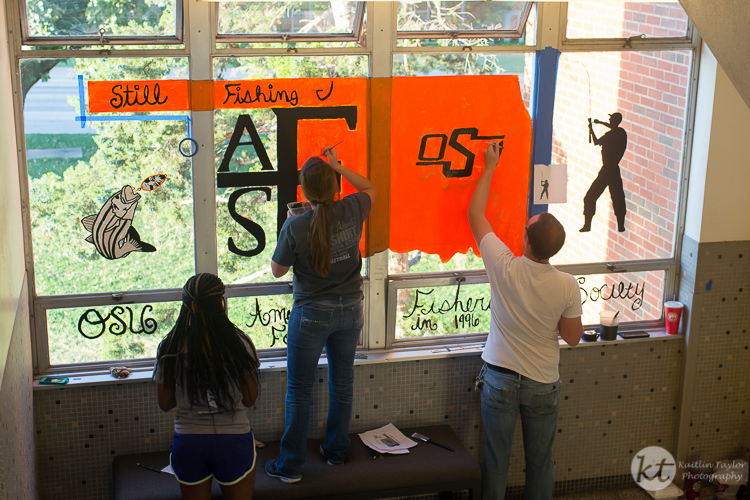 Oklahoma State has many competitions during their homecoming week – signs, window painting, house decorations. My husband’s club, the student subunit of the American Fisheries Society, entered into the window painting competition for the first time. Here are a few members making the finishing touches. Notice the Pistol Pete fishing lure!